Farro is a whole grain that is packed with nutrients and flavor. It tastes like a nuttier version of rice, and is a little bit crunchier. Try it out! Can't find farro in your grocery store? Brown rice, quinoa or barley will work in this recipe as well! Pour farro into a sauce pot and cover with water. Bring to a boil, reduce heat and cover. Allow the farro to simmer for 20-30 minutes. 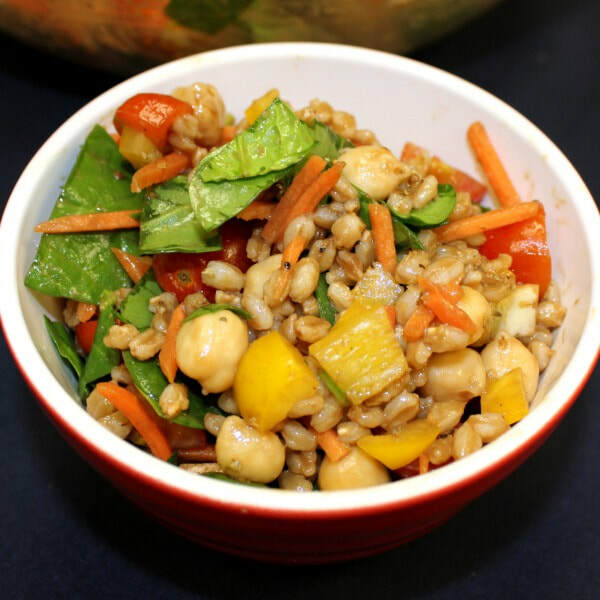 ​Place the cooked farro in a large bowl and mix in the vegetables. In a small bowl or cup, stir together balsamic vinegar, olive oil, oregano, garlic, and Dijon mustard. Pour evenly over the farro and vegetables.